After the discussion in recent days about Windows 10 and Xbox being a single platform, as well as the announcement that Quantum Break would be coming to PC at the same time as the previously exclusive Xbox One, we weren’t exactly sure what that meant. Were we coming to a point where Xbox discs would just run on a PC? Probably not, but just how many ports are we going to get? 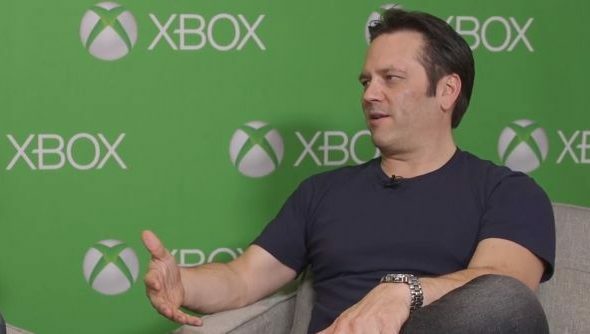 Phil Spencer, Head of Xbox, showed up on a recent IGN podcast to explain a bit further. Well we’ve got enough of our own great PC games anyway, Phil, so there. On the podcast, Spencer explains that Microsoft are “committed to bringing [the] biggest franchises from Xbox to Windows, we’ve said that” but that it “doesn’t mean, necessarily, that every game ends up on both platforms, because there could be some differences in how things play.” Even with the recent news of various ports coming our way, Forza’s version on PC is to be free to play, which might be the kind of thing Spencer is talking about. However, the mention of the biggest franchises coming to PC is still there, so expect Gears, Halo and others to follow. He also makes the argument that Microsoft see the two platforms as very different things, which people will want to own both of because they provide different experiences on the same games. Personally I’m not seeing it, but if it means we get the Halo collection further down the line, aok with me. If you’re wondering about Spencer’s comment regarding the price of the Xbox One vs. the cost of a graphics card, he’s already clarified it on Twitter.